What is the purpose and importance of Cable Management? Cable management is essential to create a visually pleasing and clean work environment. Managing cables or wires helps to maintain basic functionality and also protect the devices from the clogged airflow due to unorganised and disordered wires. Tangled Wires or Cables are generally time-consuming to untangle. 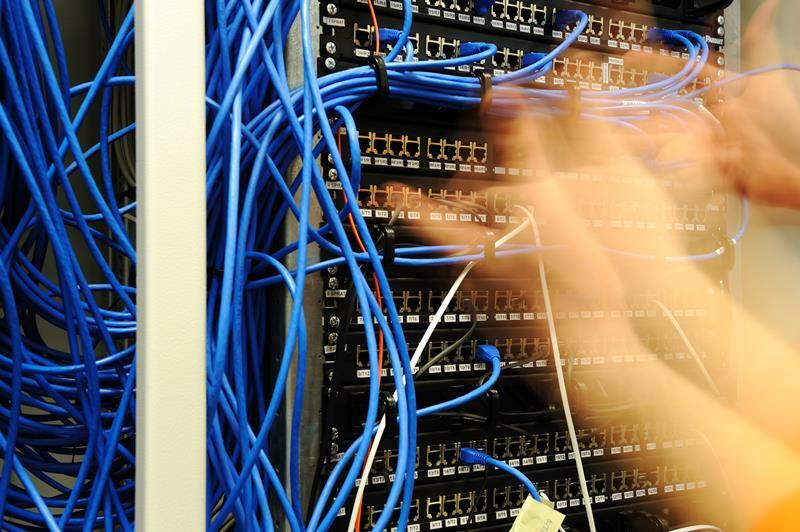 Ease of Use: One of the essential reasons for proper Cable management is to provide an organisation and its employees with comfort to access the cables and the devices connected to them. Tangled and unorganised cabling leads to stress at work and takes a significant amount of time to make sense of it all. It leads to decreased efficiency at work, and simple tasks may take much longer than they really should. SO, it is vital to organise and tag and mark the wires and cables with tasks; they are used for. Fire Safety: Another critical reason for proper cable management has to be with Fire Safety. Tangled and unorganised wires and cables are more likely to lead to sparks and even fire. Someone can even trip over the bundle of cables if left unchecked. This can lead to fire or damaging the devices which are connected to the unorganised Cables. The ability to easily and quickly access the cables that need to be maintained, troubleshoot the network and hardware and perform basic tasks is one of the many reasons why Cable management is so important. Overall, cable management is essential for maintaining organisation, functionality, and a proficient and nice-looking environment. Logitrain offers a vast range of Cisco courses which can help anyone looking to work in the lucrative IT and Networking sector in Australia.